President Donald Trump lashed out after a Mexican man who illegally entered the country was acquitted of murdering a woman in San Francisco. Trump called the case a "complete travesty of justice" and said the Democrats will "pay a big price" at the ballot box for being "weak on crime." San Francisco is a sanctuary city where local law enforcement ignores stricter federal penalties against illegal immigration, and the killer had illegally entered the US six times. 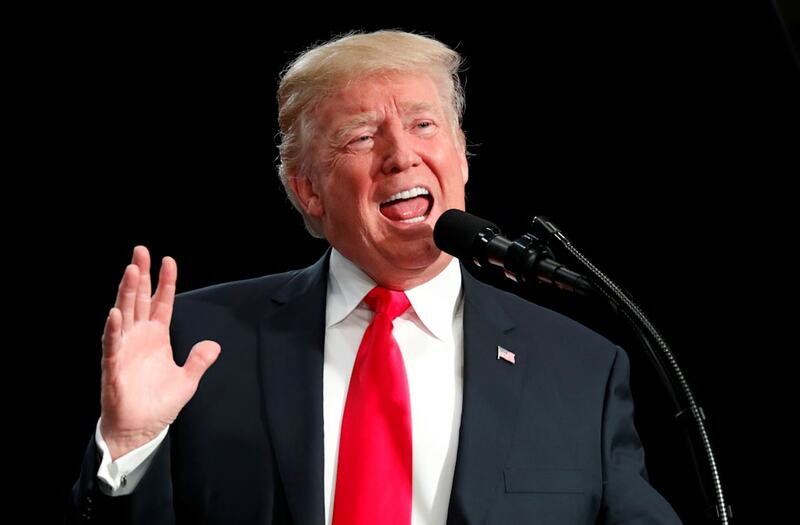 President Donald Trump lashed out at the Democrats after courts acquitted Jose Ines Garcia Zarate, a Mexican man who illegally entered the US six times, for the murder of a young woman walking on a San Francisco pier with her father. "The Kate Steinle killer came back and back over the weakly protected Obama border, always committing crimes and being violent, and yet this info was not used in court," Trump tweeted. Zarate was cleared of the murder charge, with his defense convincing the jury the shooting was a ricochet and an accident. But he was convicted of possessing a firearm as a felon, which means the jury did have some knowledge of his criminal history. Jury convinced that illegal alien killed Kate Steinle accidentally. She would still be alive if we had a wall. Prayers for the Steinle family. Feds should immediately charge the thug with a variety of immigration crimes. What’s happening to America? In Trump's tweets on Friday morning he referred to Zarate's "exoneration" as a "complete travesty of justice," though acquittal and exoneration have technically different legal definitions. Trump seized on Zarate's case early, as the killing took place in 2015 when Trump began campaigning for president on the platform of building a wall along the US's southern border with Mexico. Since the verdict on Thursday evening, Trump has called the case "disgraceful" and credited it for making US citizens angry with illegal immigration. Ultimately, Trump placed the blame with Democrats, who oppose Trump's immigration policies and support sanctuary cities, where local law enforcement is forbidden from complying with federal immigration law. If federal immigration law had been implemented, Zarate would have been detained longer after being arrested in his seven past arrests for felonies. Trump opposes sanctuary cities, and has threatened to cut their federal funding. "The Schumer/Pelosi Democrats are so weak on Crime that they will pay a big price in the 2018 and 2020 Elections," Trump tweeted.